The most important step for writing a winning resume is skipped by most job seekers. Here's how to avoid a big mistake that can really hurt your job search. To write an effective resume, you absolutely must decide what type of job you are seeking before you begin writing. That's is - Simple, but crucial, and often overlooked. The fact is, many job seekers avoid writing targeted resumes. They write one single document and use it to apply to all kinds of jobs. This approach can make your job search drag on for much longer than necessary. The problem is that if you do not target your resume to a specific job, you will not be able to take every opportunity to show an employer that you are a perfect fit for the specific job that he or she needs to fill. You may have plenty of experience that is ideally suited to an employer's needs, but the employer is only going to take a few seconds to scan your resume, and if it isn't written in a way that immediately shows you are uniquely qualified to meet those needs, your resume won't get a second glance. This is Good News - Really! The great news for savvy job seekers is that most of your competition will not take this extra step. That means, if you take the extra step to research companies and target every resume you send, you will easily stand out above and beyond your competition. This strategy is under-used and extremely effective. I understand that the idea of targeting your resume can be hard to accept for people who are completely unsure about the type of work they would like to pursue, or people who are targeting a few different types of jobs. It sounds like a lot of work, and it is more work that writing one single resume. However, targeting is a huge factor in getting invited to interviews. In the long run, it will probably shorten the time you need to spend job searching (compared to the time it would take to land a job if you didn't write targeted resumes). So, you could put the extra effort in on the front end, writing a winning resume that is targeted to the specific company each time you apply to a job and probably finding work faster. Or you could put more effort in over the long term, sending out generic resumes that don't get employers interested in you, and spending much more time job hunting. The bottom line is, you simply cannot write an effective resume without having a specific type of job in mind. Period. Once you know all of the tricks for writing a winning resume that shows you at your best no matter what your background may be, you will also know that the type of job you are seeking affects every bit of information you put on your resume and every formatting decision you make. The only way to determine what information should go on your resume, and in what order, is to consider how each point demonstrates your ability to be outstanding at a specific job. To write a winning resume, you must look at each point and ask yourself whether that bit of information supports the idea that you would be great at the specific job you are seeking. If you aren't targeting a specific job, you have no point of reference to ensure each point you write is highly targeted to an employer's needs. Generic resumes are weak and do not show you in your best possible light. Imagine you have worked for several years as an adult education teacher, and you have recently completed an addictions counseling diploma. When you sit down to write your resume, you'll need to decide whether you are applying to adult education jobs or addictions counseling jobs. Of course, you can apply to both, but you'll need to write different resumes for each. For the adult education resume, you'd highlight your work experience over your education. You'd go into full detail about your work experience. You'd also write a skills summary that listed all of your teaching related skills and accomplishments. If you were writing an addictions counselor resume, you'd highlight your education over your work experience, so the education section would come before the work experience section, and you may expand on the education section. If you didn't have any paid work experience as an addictions counselor, you would include details about school placements that you did while completing your recent diploma. You would probably not include this information on a teaching resume because it is less relevant. Your skills summary would be very different for the addictions counselor job. You'd write about addictions counseling related skills, and you may expand this section because your work history in the field would be limited. Perhaps it's easy to see why you need different resumes when you are applying to different types of jobs. It might not be so obvious why you would benefit from fine tuning your resume for basically the same job with different employers. Imagine you are applying for two different addictions counselor jobs with different organizations in different cities. Although it is the same job, if you spend a little bit of time understanding the requirements of the job and the needs of the employer, you can fine-tune each resume so it really shines. If job number one involved primarily one on one counseling, while job number two required you to facilitate groups, you would highlight any one on one counseling experience in the resume for job number one, while you would bring all of your group facilitation experience to the top of your resume for job number two. If each job involved working with people with different types of addictions, you would highlight your experience with each specific type of addiction in the appropriate resume. If job number one involved working with adults, while job number two involved working with youth, you would highlight your experience with adults in resume one, and you would highlight your experience with youth in resume two. I think you get the picture. Even though two job opportunities might carry the same job title, they can still be different enough that you will benefit from fine-tuning each resume. In this case, just because you highlight one aspect of your experience doesn't mean you will delete other aspects of your experience. For example, if you were pursuing a group facilitation job, you would not delete your one on one counseling experience. You would simply move the facilitation experience to the top of the section where the employer will notice it, and move points about your one on one counseling down to the middle or bottom of the section. You might also slightly rephrase a point to make it a better fit for the job you are targeting (of course, while still presenting an honest reflection of your experience). Although it is more work, it's these little adjustments that make all the difference in the world in terms of how employers will view your resume and, in turn, how they will look at your potential as an employee. With an untargeted resume, at best, you'll be just another applicant who has the same basic industry-related skills, experience and education as many other candidates who have applied to the job. With a targeted resume that has been written to show exactly how your skills meet the employer's very specific needs, you will set the employer's heart racing with excitement that you are a great fit for the company. Okay, maybe hearts will not race, but the employer will give your resume more attention, and you will be far more likely to get invited to an interview. If you're feeling a bit stressed at the thought of writing multiple resumes (as if writing one resume wasn't bad enough! ), my book, The Resume Writing Guide, will show you an innovative trick I use to make it much easier to write multiple resumes. 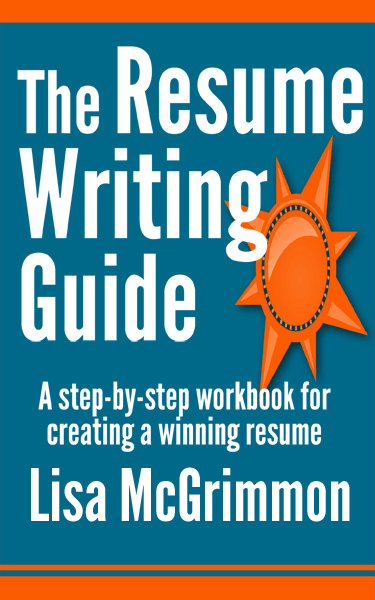 First, the book will teach you how to write a winning resume that works with your specific employment and educational history. 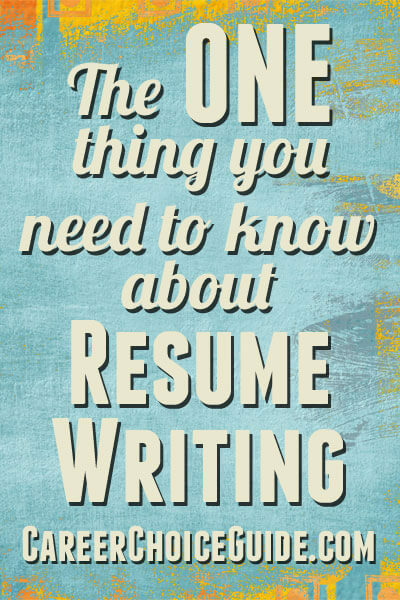 Then, once you've finished your first resume, chapter 14 shows you how to be ready to apply to any job with a targeted resume that you can write quickly. My book is available on Amazon. If you want more in-depth resume writing guidance, you can buy it here.